Last year I posted an article about the four contenders to replace Breaking Bad as the unequivocal best show on television. 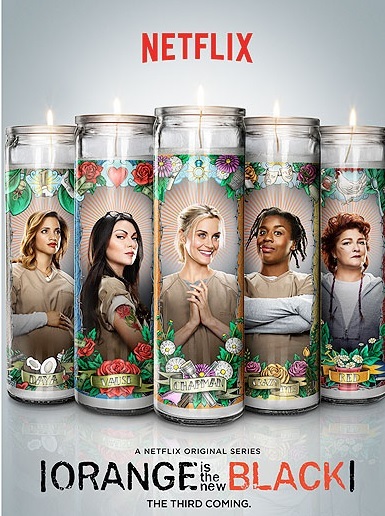 There were four main contenders: Parks and Recreation, Game of Thrones, Mad Men, and Orange Is The New Black. Since Vince Gilligan’s epic went off the air in the fall of 2013, three of those shows have made strong cases to be the champ. Mad Men ended up being the weakest out of the four, but it has helped define the standard for prestige television and is part of the reason any great non-super hero story isn't shown in movie theaters but rather on the small screen. Game of Thrones is the most watched show out of these four (most likely, since Netflix doesn’t release its viewing numbers) and has transcended the fantasy genre into something incredible, but it’s uneven-ness in storytelling and reliance on its source material ultimately forces the show to play second fiddle. Parks and Recreation is brilliant in every way, but the fact that it’s a sitcom first and foremost lowered its ceiling. On the other hand, Orange Is The New Black managed to take the best parts of these shows and rise above them to become the best show out there. Orange has the storytelling skills of Mad Men, the grandeur of scope a la Game of Thrones, and the heart of Parks and Recreation while still telling its own stories. There are most certainly faults with the Netflix dramedy, and truthfully it probably has more faults than any of its competitors, but the fact that it’s still so damn good proves why it deserves to be the champion. 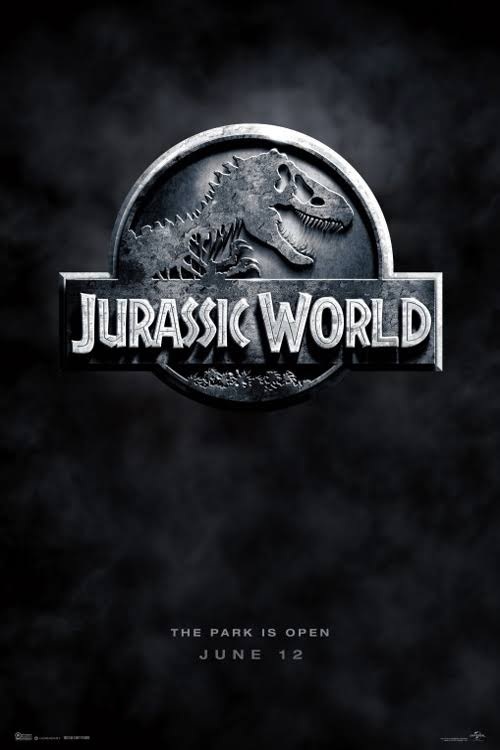 If you were pumped to see Jurassic World based upon the trailers, then you are going to love this movie. It delivers on everything it promises and then some. You have Chris Pratt doing an incredible Harrison Ford impression and being the bona fide action star / movie star that he is, you get to see Pratt riding around on a motorcycle with velociraptors, and you have the newly created Indominus Rex wrecking havoc among the Jurassic World theme park. It's the quintessential summer blockbuster. You get explosions, chase scenes, and CGI dinosaurs. I can also see little kids growing up loving this movie the way I loved Steven Spielberg's Jurassic Park as a kid. Like most little boys my age, I wanted to be a paleontologist when I grew up. I had dinosaur toys, dinosaur books, dinosaur clothes, and I even tried to read the Michael Crichton books the Spielberg movies were based upon. If you have a young kid seeing Jurassic World today, I can imagine that kid having the same sense of wonder, imagination, and amazement seeing Jurassic World as I had seeing Jurassic Park. Brief Description: The Jinx is a six part documentary true-crime series regarding the infamous real estate mogul Robert Durst. While it is, obviously, not technically a movie, it is a compelling documentary that works better as a limited event show rather than a movie. It seems that many documentaries don't work as a one-and-a-half / two hour film and work better as either a short film or a TV show, yet are forced to package itself as a full-length movie in order to maximize profits. The most obvious example that comes to mind is the epic 1994 film Hoop Dreams- which follows the lives two black basketball players from the inner city of Chicago through all four years of their high school career. The film is great, but it's too long (its run time is 170 minutes). It should have been a TV series limited event, but based upon the viewing habits of Americans 20 years ago, it was a documentary film. 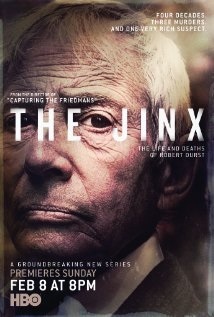 The Jinx would be too compact as a full length documentary, but is perfect as a six episode event. The Jinx is a fantastic series because it follows around a compelling sociopath- Robert Durst. The access that Andrew Jarecki was able to get (multiple one-on-one interviews) is incredible and you're both horrified at the actions of this man that you're watching, but you just can't help but be glued to your TV screen because of how charming Durst is. You learn about the three murders Durst was accused of committing and Andrew Jarecki has an incredible sense of storytelling. I know Jarecki has been criticized for messing with the timeline of events, but he did so because he's a master of story and plot. We like to assume documentaries should just be events as they occur, analogous to the news, but we expect the same arc and tropes in our documentaries as we do in our feature films, and Jarecki knows this and used this to his advantage to create one of the best documentaries of the year.